The midstream industry has experienced a phenomenal construction boom over the last several years. Speed-to-market was once the name of the game, but times have changed; margins are down and gas processors have new marching orders when it comes to capital projects: Cost is king. With management at midstream companies looking for a significant step change in their capital investment costs, it’s not uncommon for project teams to spend hours poring over existing designs and trying to make tweaks, or to “value engineer” a more competitive design. At Burns & McDonnell, we threw out the rule book on this process and, starting with a clean slate, the Core Plant concept was born. 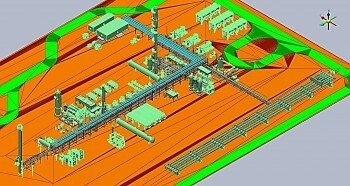 This new approach to gas processing plant design can help achieve significant cost savings without sacrificing quality or safety. What Is the Core Plant Concept? By definition, “core” is the central, innermost or most essential part of anything — including plant designs. 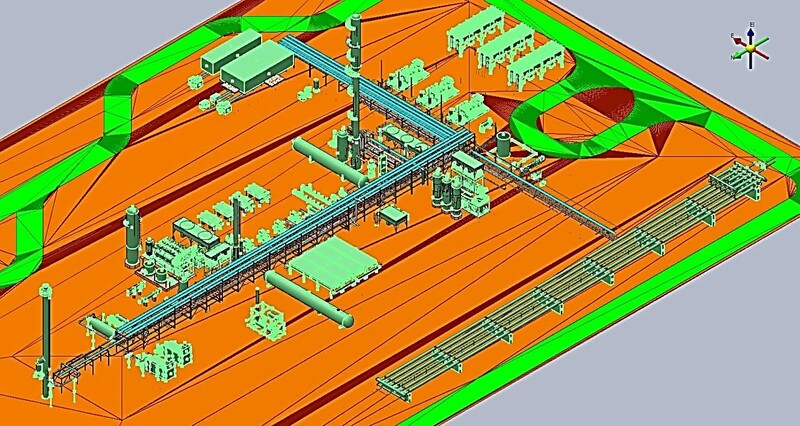 When our team set out to design a “core” gas processing facility, we started with the basic requirements needed to process gas in a safe and reliable manner, and then challenged the status quo. We found that there are many industry norms that have crept into the designs of today — and while most stem from good intent, they may not be economically justified. Spacing requirements, processing needs and configurations, equipment motor types, control system needs — all aspects of the design were challenged to be economical, safe and of superior quality. Burns & McDonnell’s Core Plant is a total 200 million standard cubic foot per day , and includes core balance-of-plant items like a slug catcher, flare, motor control center, foundations, piping, etc. Not only can the Core Plant design be delivered in a timely manner, the capital cost reduction is a step change in the marketplace. The idea of the Core Plant design is to start with the basics, then customize a plant focused on each client’s specific needs. For example, consider the NGL surge vessel at your gas plant. How large is it? What’s the storage time in it? Typically, in the event of a product pump loss, this NGL surge vessel is utilized to provide time for operations to start the spare pump. Depending on your industry, liquid surge storage time will vary. In the midstream industry, for example, it could range from hours to several days of NGL storage, while the refining industry may only allow 5-10 minutes of surge for a spare pump to go online. It’s important to recognize where your company is on the spectrum and the level of operations support at your facilities. From there, you can evaluate the economics of the sizing and reliability decisions made for each piece of equipment, such as the NGL surge vessel. Another example is the need for amine treatment at a gas processing facility. If carbon dioxide (CO2) levels are high, roughly greater than 1 percent in the feed stream, amine treatment will likely be necessary to prevent freezing in the cryogenic part of the plant. However, if CO2 levels are low (roughly less than 1 percent), commercial managers should justify whether it’s necessary to install amine treatment at all. In the event of low CO2 in the feed stream, the only time amine treatment will be required is when operating in ethane recovery, in order to keep the NGL product on specification. The commercial manager must therefore show that there will be enough time spent in ethane recovery, which has been rare lately, and enough profits from operating in ethane recovery to offset the amine unit capital cost investment. Perhaps this is an investment that can be deferred to a later date. We performed a cost-benefit analysis on many equipment items to determine their optimized location and arrangement for the Core Plant. As an example, where is your flare located? Many times, the location of the flare is placed 200 feet from the nearest process equipment, which is the industry norm. Performing analysis allowed for the Core Plant flare to be closer to neighboring equipment, significantly reducing the overall plot plan size. The smaller plot plan for the Core Plant results in reduced costs for piping, pipe rack steel, foundations, and construction labor. These are only a few of the many decision points our Core Plant engineers evaluated when looking for a new solution in the market. By starting with the Core Plant, management at midstream companies know they are getting a cost-effective, quality, safe, reliable and operable full-plant concept. Project teams and operations representatives can then justify additional reliability or operability features as needed for a specific application. If you’d like to learn more about the Core Plant design concept, please reach out to Ed Edmondson or me and we’d be happy to walk you through how this concept can be applied to your gas processing needs. Karen Bray is a business development manager in the Process & Industrial Group at Burns & McDonnell. She has nearly 15 years of experience focusing on midstream, chemicals and refining activities.